Would you like to get exercise and help Northeastern University researchers detect physical activity types from wearable sensors? Volunteers will receive $75 in compensation for participation. Please contact Diego Arguello @ arguello.d@husky.neu.edu if you meet the criteria below and you are interested in participating. We are looking for healthy individuals without walking impairments between 55 and 85 years of age willing and capable of participating in a physical activity study at the Northeastern University campus in Boston. We will schedule two 3-hour sessions on consecutive days and ask you to wear sensors for the time in between the sessions outside of the lab as you go about your daily life. During the session you will wear sensors while being guided through some moderate intensity exercises and activities and walking around campus - with plenty of rest breaks! 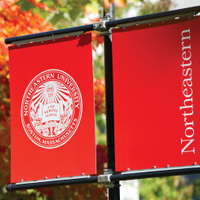 If it's for 55 to 85-year-olds only, why is it being promoted to Northeastern students?